Curious About Yourself? About Others? About Your Future? Stop Doubting and Start Reading Tarot! Thousands now read tarot when they never thought they could! When psychics are in doubt, this is what they do…. consult the tarot cards for ALL the answers! Sign up to get your 5 Free Tarot PDF eBooks & 5 Printable Decks here. * WEJEE’S ECLECTIC TAROT: Our ver own Tarot book, complete with FULL COLOR ILLUSTRATIONS and interpretations for Wejee’s Eclectic tarot deck, PLUS how to use the Celtic Cross and three card tarot spreads, caring for your tarot cards, numerology and tarot, plus tips for reading tarot professionally and starting your own business and much more! * THE PICTORIAL KEY TO THE TAROT by A.E. Waite: This is the FULLY ILLUSTRATED tarot book written by the man himself, the creator of the most popular tarot deck in the world. Waite gives you his own unique interpretations of the tarot cards, His method of tarot divination using the Celtic Cross tarot spread and a look behind the veil into the mystery that is tarot. This book is a must have for the serious student or collector of the Tarot. * THE TAROT by S. L. MacGregor Mathers: Much of what seems to be common knowledge about the Tarot cards originates with Samual Liddel MacGregor Mathers. MacGregor Mathers deeply dedicated his life to the study of Western Mystery Traditions and magic, pursuing knowledge and truth above all else. In this concise tarot book, Mathers defines, describes and lays out the use of the tarot for divination, entertainment and personal growth. * SYMBOLISM OF THE TAROT by P.D. Ouspesky: Ouspensky was an enormously influential figure in early 20th Century Mysticism and Occultism. This book on Tarot illuminates the archetypal symbolism of the tarot in the Light of a Mystic Journey, and will ultimately be one of the most valuable tarot books you will ever experience! COMPLETE WITH ORIGINAL ILLUSTRATIONS! * THE TAROT OF THE BOHEMIANS by Papus: Gerard Anaclet Vincent Encausse, usually known by his pseudonym “Papus”, was a French physician, hypnotist, and occultist. His work on the Tarot is heavily influenced by Kabbalah and the work of Eliphas Levi, and is well worth studying for its depth of symbolism and esoteric knowledge. THIS BOOK FEATURES THE ORIGINAL ILLUSTRATIONS AND TABLES. * Wejee’s Eclectic Tarot deck x2, Printable in 2 sizes, large and mini. * The Rider-Waite Tarot deck x2, color it yourself decks, in 2 sizes, mini and large. * The Tarot of Marseille deck x1 color it yourself deck, in a mini size. *PLUS a printable Celtic Cross reading mat, with the meanings of the positions printed on it. Gain insight into the hidden motives of others in your life- if you need to know what is really going on behind the scenes, reading the tarot cards will finally reveal the truth! Reading Tarot is a valuable skill that can earn you a substantial “work at home” income. Learning Tarot will not only benefit you, it can also benefit others! But best of all, you can use the tarot to evaluate, ignite and improve yourself. If you are in need of a best friend that will always be there for you, anytime of the day or night, ready with illuminating insights that can help you develop,understand and transform yourself, learning the tarot is the boost that will transform your life! 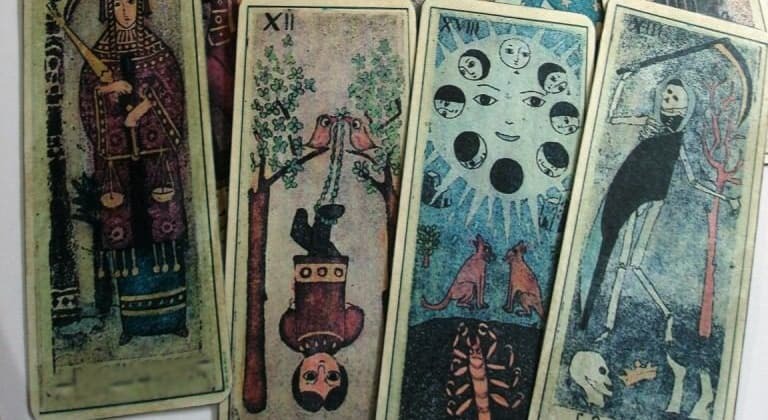 This entry was posted in Free Stuff and tagged free tarot, tarot, tarot books, tarot decks, tarot ebooks. Bookmark the permalink.